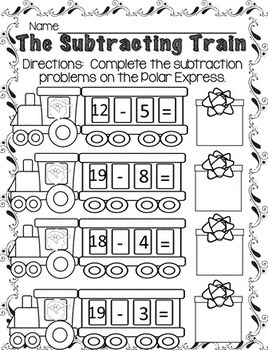 The Polar Express ~ Print and Go! Chris Van Allsburg's epic story, "The Polar Express" can be a joy to read, watch and study with your young and old learners! It's a magical story about Christmas and true believing. 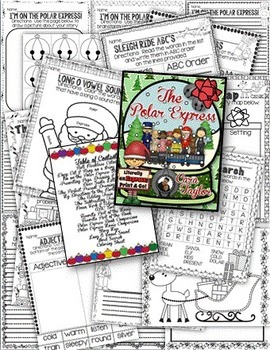 Reading it and watching the movie before Christmas Vacation would be a perfect treat for your students and I've created this product, "The Polar Express~Print and Go!" to make it academic also! But the best part is that it's really an "express" because all you do is print the pages and you're all set! 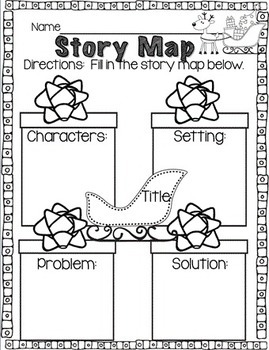 Included are 26 printables for you to use with your young learners, from grades K to 2. It's directly aligned to 1st Grade Common Core Standards, but lends itself well to neighboring levels. Both Balanced Literacy and Math can be found within the packet; there's even a set of "bells" you can print off, students can color and attach it to yarn for a necklace! 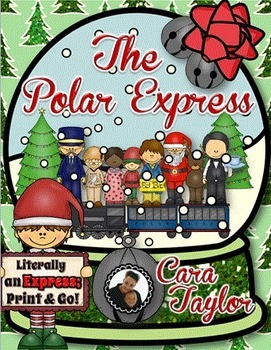 ~Prewriting Page, Illustration and Writing Pages for a creative writing story, "If I Were on the Polar Express"